“A luxurious tropical island with a hedonistic resort vibe. That sounds like a place to see, doesn’t it? 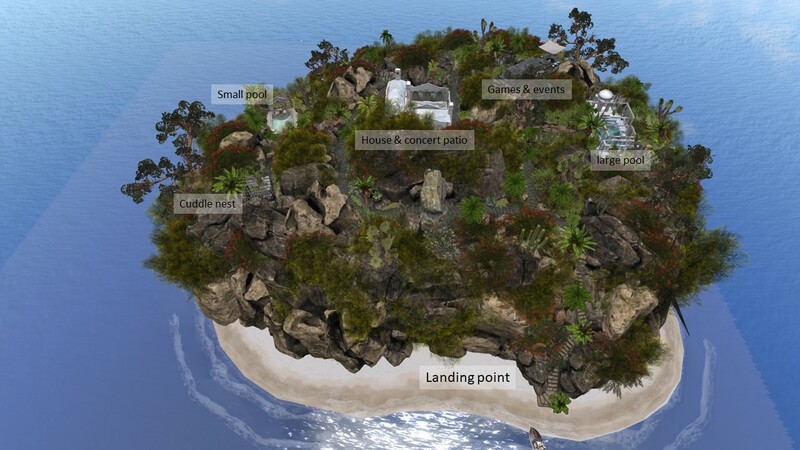 Lotus Bay is an almost round and rocky island with a dense tropical and colourful vegetation. The landing point is at a beach close to where a motor yacht has landed. From there a steep path leads up the rocks and into the island. You’ll find candles along the path, that will illuminate it during night. The paths might look a bit confusing first but every mojor point of the island can be reached by paths. I first went to a place that I called the small pool. It’s just beautiful. 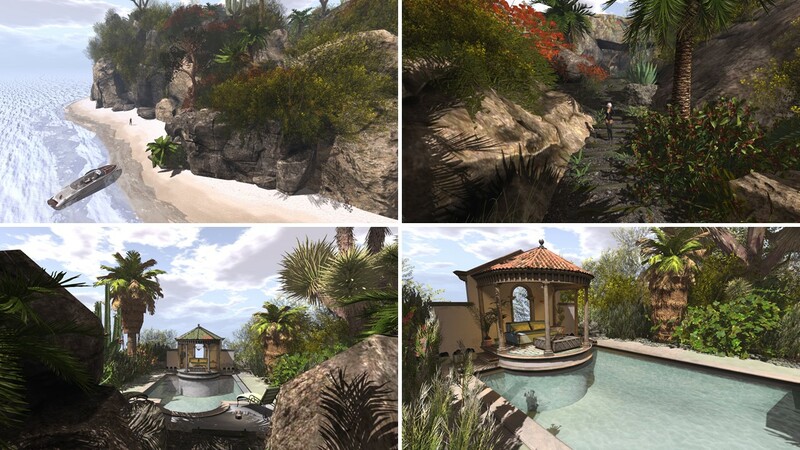 All the rich and colourful vegetation around you and then this nice place to swim, cuddle or relax. Not far from it is another retreat, a cuddle nest. From many points you can see elements of a bigger white house in an hispanic style peeking through the bushes and leaves. This big house is in the center of Lotus Bay. There’s a large open air patio with a piano and some opportunities to sit, obviously used as a place for concerts. The house is furnished inside, but I just had a short look. I continued exploring and came to a large pool, really luxurious! It invited me to take a rest and to try out some of the animations, but as I were alone, that was less than half of the fun. I can imagine that it is a perfect place to cuddle or to have other (adult) activities. Close to the large pool but not directly accessible from there is an open air event area, with a place to dance and sitting groups to play games. From event area you can see the other beach of Lotus Bay and I went down to it. Nested into the rocks I found another cuddle place there. 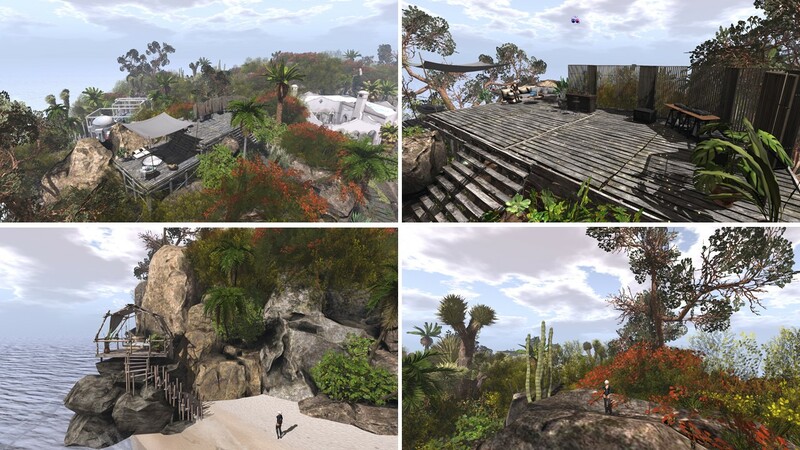 Lotus Bay is a really well made, great place. 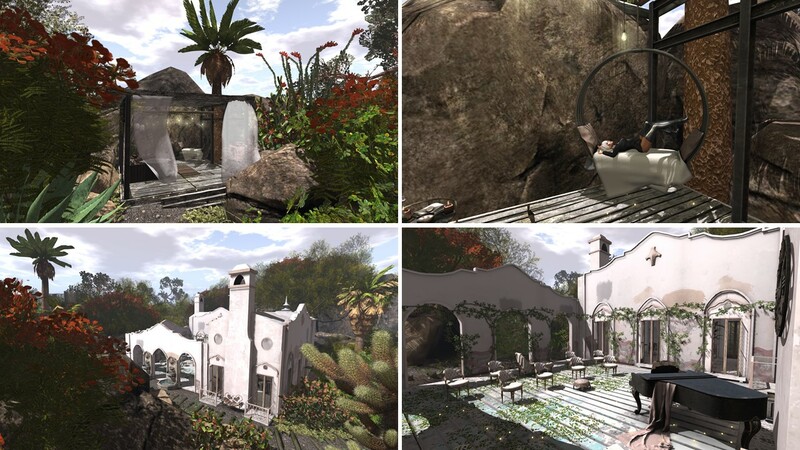 The vegetation offers a lot of spectacular views, the many opportunities to sit and cuddle and to have fun with others are all very thoughtfully arranged and look premium. 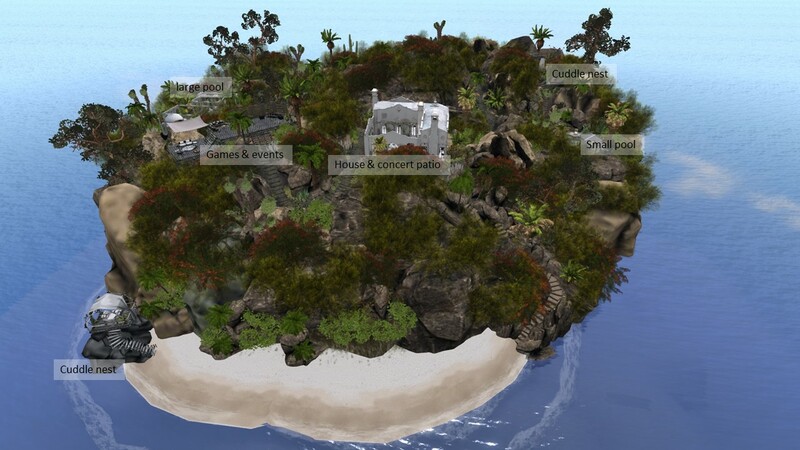 A true luxury island! I enjoyed my visit a lot. Thank you, Maria, for providing your place to the public!